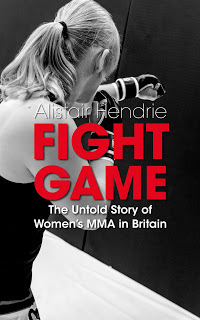 I was delighted to appear on the latest edition of the GSMC Women's MMA podcast, discussing my new Kindle book, Fight Game: The Untold Story of Women's MMA in Britain. In the interview, I discuss my motives for writing the book, memorable interviews from my research and the process of piecing my project together. Many thanks once again to Tate and Sarah for having me on the show. You can listen to the GSMC Women's MMA Podcast, featuring interviews with some of the biggest names in the sport, on iTunes, YouTube and the GSMC website. Thank you for joining us, it was great fun chatting with you!